Dolphins, whales, fishes, seahorses, octopuses are the most fascinating and enthralling creatures of the water world. They are of different colours, have different intriguing mechanisms to survive, have different ways of taking down their prey. Even now, we aren’t aware of all the species of water creatures. There still exist many water creatures who are not discovered yet and are still living in seas and oceans just like other water creatures. They must be good at hiding and must have body patterns that act as a camouflage. That’s why they have managed to remain unseen until now. There are millions of species of water creatures which are currently known to us and in this article, we are going to know about the most bizarre creatures in the sea which are discovered but we never knew about. 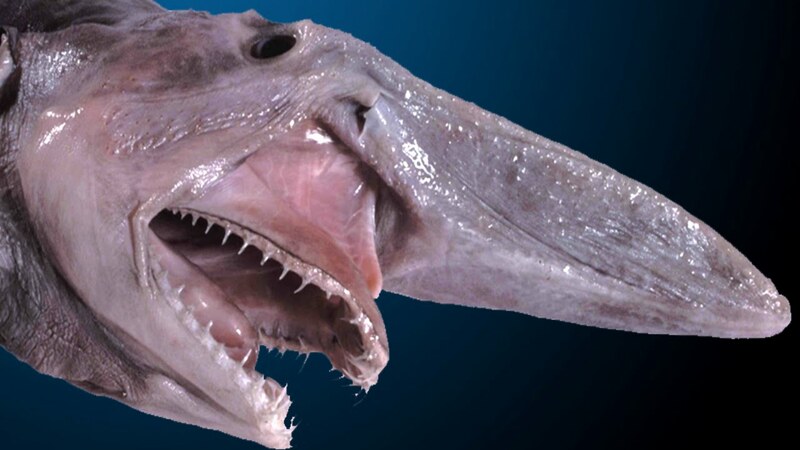 1.Goblin sharks– these sharks are present in a very small number in the oceans and aren’t good looking at all. It is a very rare species of shark and not much is known about it. It is because many people are incognizant of this species of sharks. Maybe this is the only reason why its population is normal and is not vulnerable or even worse, extinct. This shark is pretty different and has a unique body. It has an elongated and flattened snout and has very sharp nail-like teeth. They live at depths greater than 120 m i.e. 400 ft. They can grow up to 4 meters. It has a very ugly face and has highly protractible jaws. 2. Angler fish– these fishes are very appalling, grotesque and eerie looking. If you’ve ever watched Finding Nemo, then you’ve watched this fish already. These species of fish live at great depths, up to a mile below the sea-level! The angler fish has a single tentacle which emits light so as to lure its prey. It is a great predator. 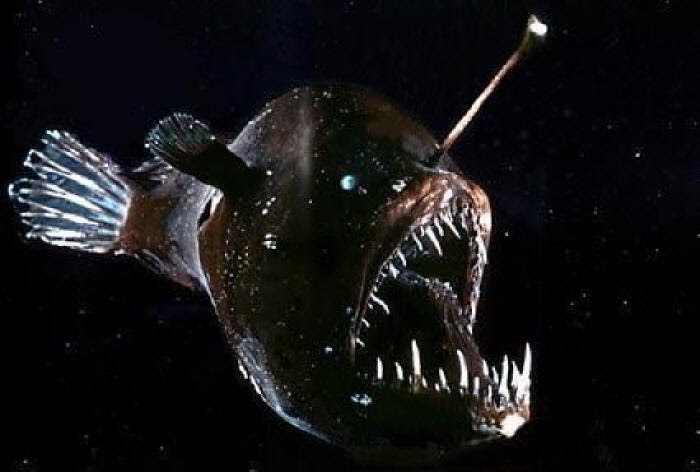 The female angler fish is much larger in size than the male angler fish. If you go into the deep sea, don’t be afraid of the dark. Be afraid of the light. 3. Basking shark– this shark is the weirdest among all the species of sharks known to us. It is the second largest species of living fish after the whale shark. They can grow up to 8 meters and can weigh up to 4 tons! That’s massive! 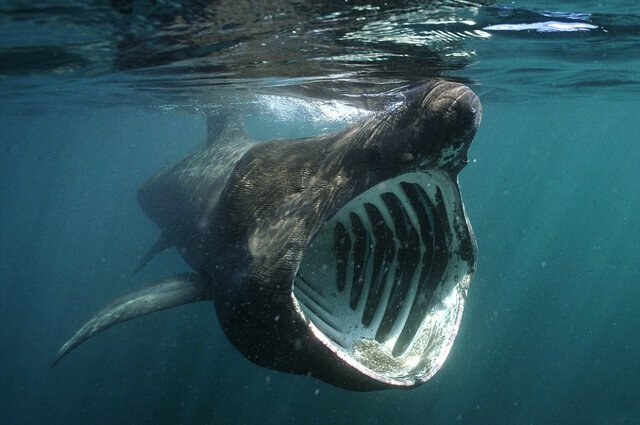 A basking shark can strain 1800 tones of water through its gills. Can you get eaten by a basking shark? Lol, it can easily swallow you down its throat. I guess that is enough for today or else you might possibly start having nightmares of these creatures. And you don’t want to have nightmares of these ugly creatures. 40 Weird Words With The Most Different And Aesthetic Meanings! Common Phobias….what are you scared of? 6 Colors You Never Knew Existed! Deadliest Cats You May Not Know About! The Junkie Xpress Copyright © 2019.